Greetings from SolidWorks World 2008! Here in San Diego, we are in the middle of another astonishingly successful SolidWorks World for 3DVIA Composer. Hundreds–dare I say thousands–of interested prospects, customers, bloggers, press agents, resellers, and employees have swarmed our kiosk and have been totally amazed by our capabilities. There has been non-stop traffic to our booth; so much so that we had to bring in a 3rd flat screen LCD panel, creating a theater experience to accommodate the demand! Thank you to our friends and future resellers from the mid-west for their permission to post our candid photo capturing their deep interest in our product. A photo is truly worth a thousand words — ’nuff said. This week we have a special two-part podcast. In this post and the next, Jonathan Riondet features our new integration with SolidWorks, which as you will see, is as easy to use as making a menu selection. 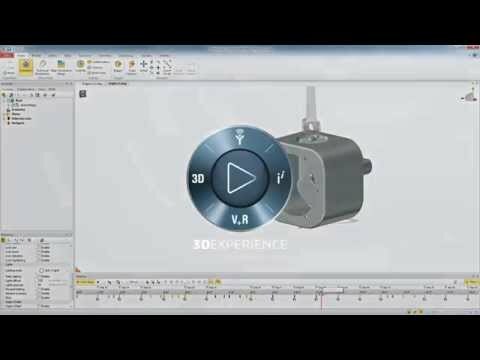 In this first part, Jonathan shows some animation capabilities using a SolidWorks model. In passing, he mentions something that I think is very important: that the Seemage file created by the free plug-in can be opened in any Seemage product, including the free Seemage Player.